There was a time when I considered choosing Psychiatry over Gynaecology. I chose Gynaecology because I could do both. A gynaecologist certified in psychotherapy can have his or her own patients, but only women. That’s not such a bad thing, considering over 50% of psychiatric patients are female and the majority of depressed patients are, of course, women. I might officially get my degree in psychotherapy after I finish my residency, but that does not mean I can’T work now with patients who need psychological support. I will discuss more about the diverse psychological needs of women in another article. Now I just want to focus on SUICIDE. Suicide has always fascinated me. Why do people do it? Why don’t they love life? Why don’t they love themselves? Nowadays, people blame social media, but people have been committing suicide since the beginning of time. There are many famous people who have committed suicide (for example Cleopatra) and it is a subject that has been often depicted in literature. 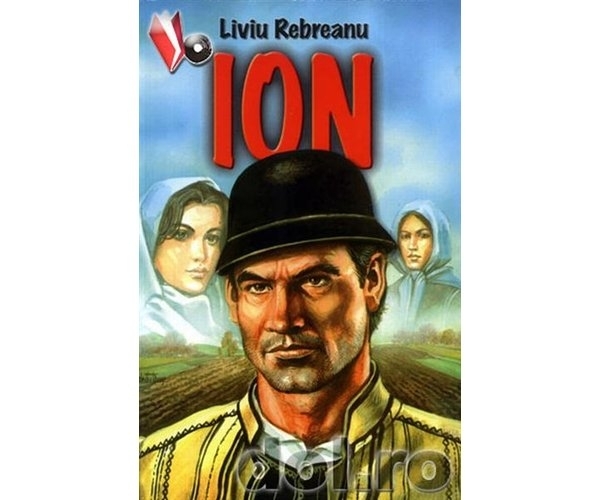 The image that stuck in my brain is Ana’s suicide by hanging from the Romanian interbelic novel ”Ion”. Ana loves Ion, Ion doesn’t, but marries her for her father’s money. He cheats on her, even after they have a baby. One day Ana’s neighbour hangs himself and she sees the body – but she is not horrified. Instead she sees relief in his dead, cold eyes. Postpartum depression or not, Ana’s sorrow leads her to commit the deed herself. She leaves chaos behind, but her still, lifeless body looks peaceful. That is also what I try to depict in my first novel of the Split series (sent to agents&publishers) – the peace that such an act brings the dead. Finding peace is what brings comfort to suicidal patients. At least that is my opinion. My female lead, psychotherapist Dr. Isabela Richter, knows very well how alluring this feeling is to suicidal patients, that is why she tries to help them find peace and balance while alive, to stop them from going over the edge. She knows what ”I’m fine” means. 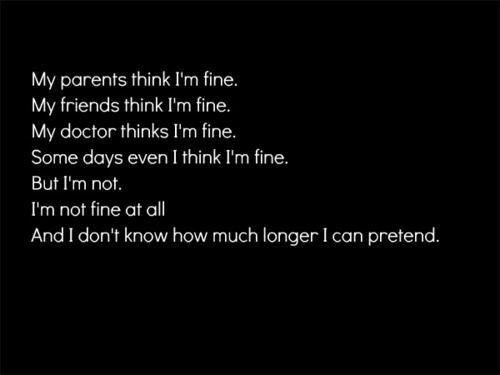 No matter what troubles haunt a patient, no matter how the patient acts, ”I’m fine” represents the exact opposite. A patient who wants to hold on to dear life will admit to not being ok. Admitting the problem makes you want to work to solve it. Isabela, like me and other psychotherapists, believes anybody could be suicidal, most of the acts being committed out of the blue. There are always, however, some warning signs, which are unfortunately not picked up by untrained personnel. Detective Oliver Bulls, a secondary character, says at one point: ”You can’t reason with crazy.” Crazy is a pejorative term for a mentally ill person, of course, but the phrase is right. Except from the japanese seppuku, when they kill themselves out of honor, suicide has no reason. Here is a poem I wrote as an introduction to the first volume of Split. Therefore suicidal people are hopeless. That is how they also feel, and that is why they need a lifeline – a psychotherapist in most cases. So if you know somebody who seems ”fine”, dig a little deeper and casually mention that you are willing to offer any kind of support. Don’t leave them alone. If you can’t handle it, refer them to somebody who can. I enjoy seeing Isabela deal with her patients in my novels and I enjoy working with patients at my day job. I hope, like her, to never lose one to suicide. Thanks for the reading and I am waiting for your commentaries! Previous How do you review movies/series? Here is my 5 Paws criteria. Next My Christmas this year: no tree, no presents!